not subject to regional and environmental conditions and the influence of the coating surface shape. 2.Slurry circulation or mortar backfill in deep mine construction of ground source heat pump. 3.Mortar delivery for weight bridge, masonry and plastering. 4.Mortar delivery and plastering of commercial mortar or other mortar with perfect performance. absorbing materials and other water-soluble materials. 2. Adjust the flow, bring up the best painting effect. 3. 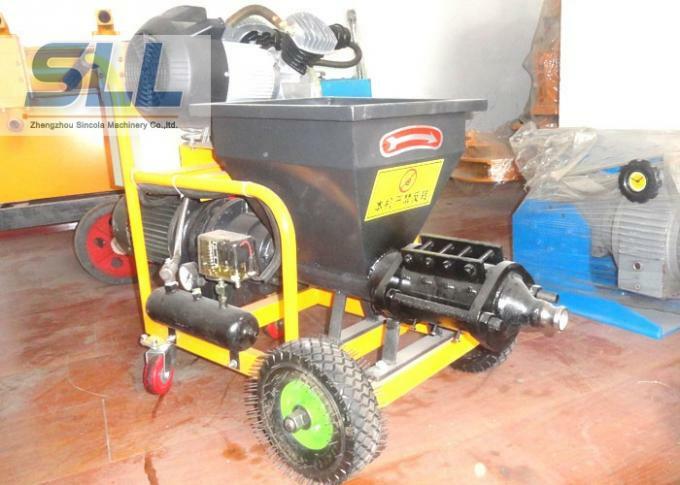 Besides you can switch on the electric cabinet, also equipped with remote control switch spraying. 4. 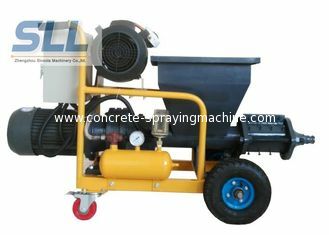 Spray gun and feeding tube connections can rotate and easy operation. 5. Construction of high efficiency and good quality. 6. 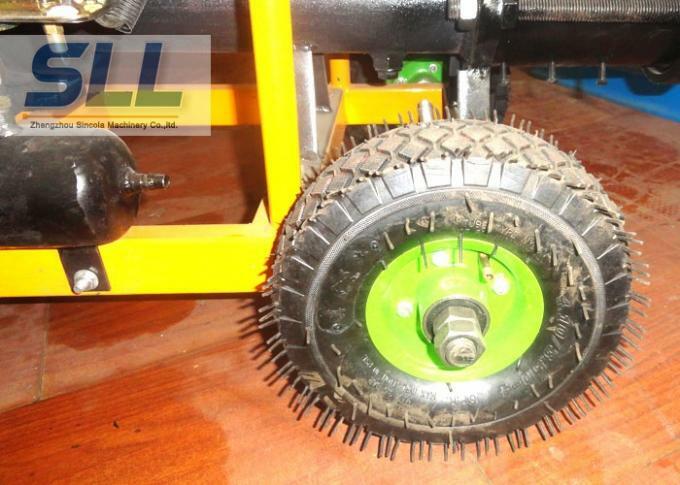 Small size, convenient for on-site handling, and low cost of accessories, maintenance is simple. 1. When the sprayer connection must be connected to the ground wire connection, after connect wire must be Bandage firmly by insulating tape. 2. Be sure to lock the wheels at work. 3. Wash the body, carefully not into the motor. 4. 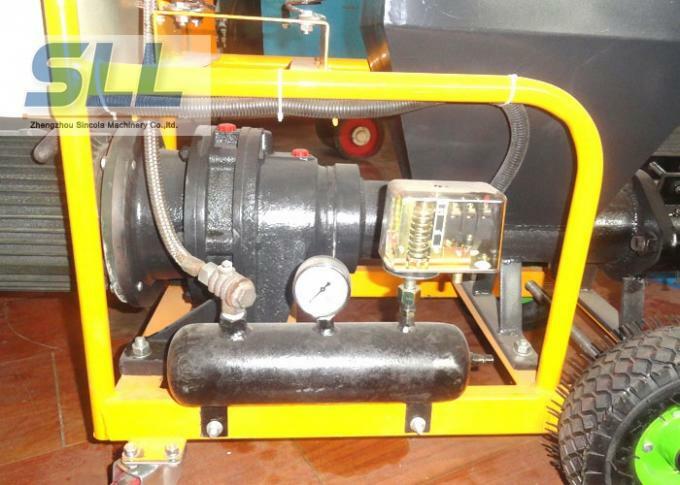 Be sure to check whether there is the right amount of oil inside the air compressor. 5. After use must clean the hopper, rush clean both inside and outside. 6. When mixing, hands are forbidden to insert inside the hopper. 7. Air compressor and the motor rotates, do not touch.